The American Academy in Rome, founded in 1894, is the oldest American overseas center for independent study and advanced research in the arts and humanities. The Rome Prize supports advanced independent work in the arts and humanities and is given to 31 artists and scholars, who receive a stipend, workspace and room and board. Brent’s research interests include Roman funerary archaeology, archaeologies of the body, looting and the antiquities trade. 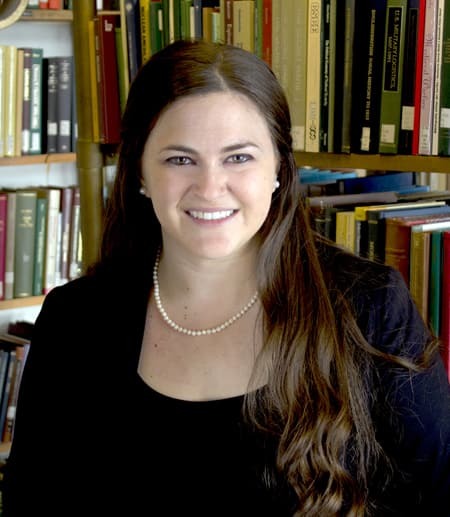 Her doctoral dissertation addresses the archaeological, legal, religious and social aspects of tomb violation in Roman Italy. In 2012, Brent completed her master’s in Classics at McMaster University in Canada, with a thesis called, “Artifacts and Burial Practices in the Vagnari Cemetery.” She has excavated at several Etruscan and Roman sites in the regions of Puglia, Umbria and Campania in Italy. This includes working in the village and the Roman cemetery at the Vagnari Project in southeast Italy, the Coriglia Excavation Project near Orvieto and the Pompeii Archaeological Research Project at Porta Stabia. She has participated in intensive summer programs at the American Academy in Rome, the American School of Classical Studies at Athens, and the École française de Rome.